It is an eight-sided Tent, with six walls and two curtains, which is erected on a collapsible aluminum pipe frame. Strongly erected on frame, it has no center pole and offers complete area for space utilization. Best for family gathering and can accommodate 40 to 60 guests and can be made in bigger size to accommodate more guests. 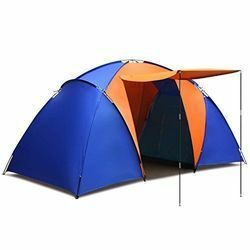 These tents have been provided with appealing color combination which are soothing and are not too vibrant. Even innovative design and patterns have been used to make these attractive. 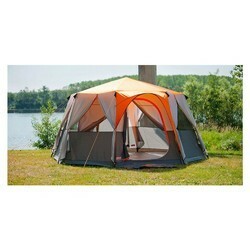 These Family Tent have been made through supreme quality fabric and are available at cost effective prices. luxury tents are absolute family tents as they render plenty of room and comfort. These tents tend to be colossal. The frame tent embodies fabric roof tensioned over a setting of pipes that determine and support the structure's shape. This frame is constructed up of solid, tubular poles, which makes it sturdy. Size: 4 x 4 Mtrs.